I Finally Finished Metal Gear Solid V: The Phantom Pain…. By finished, I mean that I beat all of the main missions in the game and then went on YouTube to watch the unfinished cutscene of the last mission of the game that somehow didn’t make it into the published game. That’s a pretty good way to start running down my impressions of the incredible story around the unrivaled gameplay of Metal Gear Solid V.
There is so much to the story of Metal Gear Solid V, and the game itself contains very little of it. To start out, I’ve always been into the Metal Gear Solid story. I picked up a PS One late it its console cycle for a deal and the first Metal Gear Solid title was one of the must play titles that I picked up and was definitely the original Playstation title that resonated with me the most. The story was crazy, the gameplay was fun (if a little awkward), and at one point you had to plug your controller into the 2nd player port to keep a boss from reading your mind and predicting you every move. I was sold, the crazy man who created this game was a genius. I dabbled in the series from there on out, I played the second Solid game on a PC that was not meant for gaming but ran it and then did the same thing I did with the PS One with a PS2 and played through Snake Eater. Better late than never. I still haven’t had the opportunity to play Metal Gear Solid 4: Guns of The Patriots, a story which I’ve avoided but seems to be the conclusion of the series. Don’t tell me…. Then came Metal Gear Solid V: The Phantom Pain, a game that was more hyped up than anything I’d ever been excited for from the time that a trailer was released disguised as a game unrelated to the series. That charade was quickly decrypted by fans and everyone was chomping at the bit to get their hands on the game ever since. Then the game was released, and I had a shiny new Alienware Alpha to get back into the series on, what a ride it’s been. I’m not planning to go into the gameplay in this post much. It’s been out for months and there are plenty of reviews to tell you all about the amazing military sandbox that Kojima has created, one in which you can approach every situation from at least a dozen different ways. That alone says enough and there’s a ton to read already if you’re curious. I thoroughly enjoyed the game, it stands out as one of the best of the year for sure, but what fascinated me almost as much as the pure gameplay was the story around the game and its release which certainly has been covered more frequently in gaming news this year than any release that I’ve ever paid attention to. It all started with the disguised trailer way back in 2012, that’s pretty standard fare for a creator that doctored trailers for another of his games to hide the fact that you didn’t play as the hero who everyone expected you to (more on that later). As the actual release of the game neared, the situation at Konami in regard to Kojima became more and more murky. 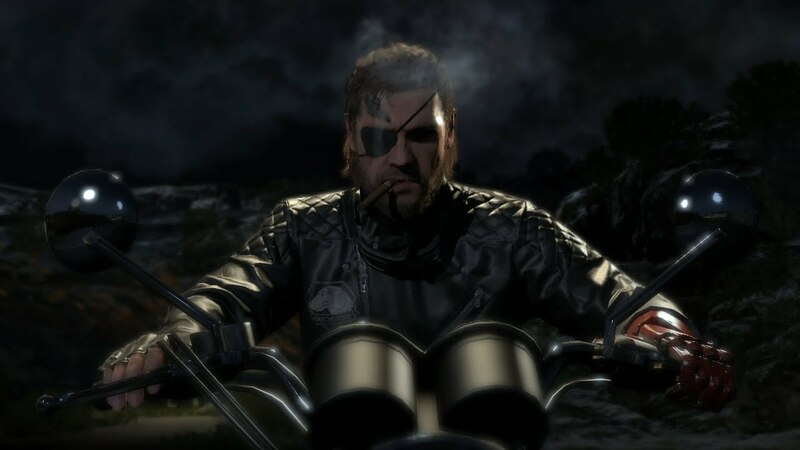 What looked like a fully blossoming professional relationship with the release of MGSV and the pending Silent Hills game quickly imploded for reasons that we will hopefully someday find out. We know that Konami removed Kojima’s name from the box are as well as from his Los Angeles studio. They announced the cancellation of Silent Hills despite the significant buzz of P.T., the playable trailer for the game and the promise that it showed. A story was published about abhorrent working conditions at Konami where employees were monitored in ever way aside from being shackled to their desks. I read all about the situation and watched as Geoff Keighley disparaged Konami for not letting him attend The Game Awards 2015. It was a crazy story, but it impact me completely until I finished Metal Gear Solid V: The Phantom Pain. This amazingly well crafted game was obviously leading somewhere with its story. The story beats in The Phantom Pain were fewer than in other games in the series, which I didn’t especially mind, but I still saw them going somewhere; then the game ended. I was taken aback by a bad cliffhanger at the end of what could likely be the end of the series, and is the end of the arc headed by Hideo Kojima. What I found next was unbelievable. I had noted a few articles to read about the game, but not until I had finished the game, it was time. I found out that there was an unfinished cut scene that detailed a final mission that had not been included in the final game and had just been tacked on to a collector’s edition with little fanfare, until people realized what it was. When a kid who looks like he might be (confirmed in the final time line cut scene) a significant character in the series runs away with a hugely powerful military walker, its nice to know what comes of that story. That resolution was intended to be in the game, but for some reason Konami cut development of this crucial ending to the game that brings the whole decade-spanning story together, and shipped a blatantly unfinished masterpiece of a game. Watching the grand final mission on YouTube and picturing how great it could have been while finished in the game made this my most interesting game of the year so far. I’d never seen anything like it. It also made me feel like it might have been intended as the 50th episode of the game which is just a more difficult (expert) version of the mission from the midpoint of the game where you face off with the metal gear, Sahelanthropus. There is also more speculation beyond all of this. Metal Gear Solid V is the first in the series to use a roman numeral. 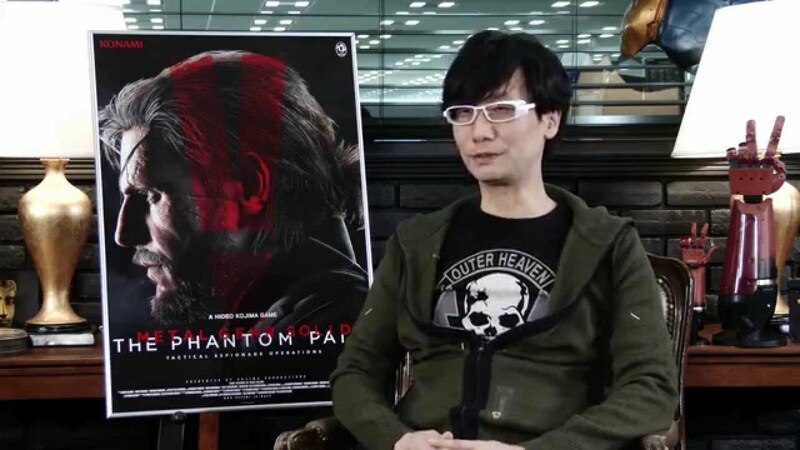 It is speculated that Kojima wanted the Peace Walker entry in the series to be the 5th installment, but Konami wouldn’t allow a sequential entry in the series to be on a mobile platform. Beyond that, Hideo said in an interview that the “V” in the title is for “Victory” because of the achievement the game is. 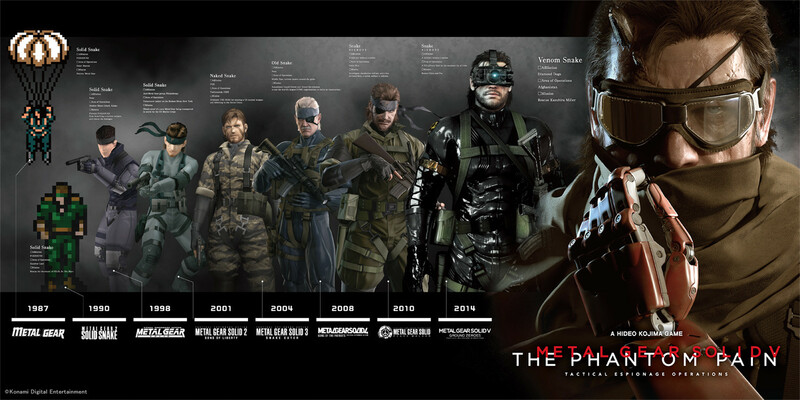 Spoiler, which has already been spoiled everywhere else, you actually play through all of the Phantom pain with a soldier who was altered to look and act like Big Boss, Punished “Venom Snake” could also be the root of the V.
So, if conspiracy theories are believed, we actually got two false Metal Gear Solid 5’s and then Kojima left Konami. Kind of a buzz kill ending to the most amazing game in a series that has influenced gaming so much in its lifetime. More on this in another post as this one is much longer than I intended and there is so much to this game and story. Cheers!